The European Association for Evolutionary Political Economy (EAEPE) seeks to institutionalize and deepen the involvement of and exchange with young scholars (YS, students – early Post-Docs) and student initiatives at the association’s Annual Conference. Building upon the lively discussions at the previous conferences in Cracow (2012), Paris (2013) Cyprus (2014) and Genova (2015), we invite participation to the following formats. YS are invited to present research papers in the regular paper sessions at the main conference. Conference sessions are organized according to EAEPE’s Research Areas and to a special conference topic. Presentation topics might be related to the conference main theme Industrialisation, socio-economic transformation and Institutions (please see General Call for Papers) or to any of the usual topics covered by EAEPE’s Research Areas. We also welcome research projects initiated by student groups and session proposals. Abstract submission needs to be done through our website and closes on 15 May 2016. You will need to create a user account to submit an abstract. Please see the Conference CfP for further instructions. Young scholars are encouraged to submit their research paper for consideration for the Herbert Simon prize. The prize is awarded for the best conference paper of scholars younger than 35 years. The best three papers shortlisted for the prize will be invited to present their paper in a high-profile special session. Please note that you need to submit your paper to the conference and for the prize separately. As in past years, EAEPE President Nathalie Lazaric and General Secretary Pasquale Tridico are interested in maintaining the dialogue with YS and representatives from European student organizations initiated in past years, in order to discuss topics of mutual interests and foster cooperation. Details about the format will follow. Representatives from European student organizations should indicate their interest to join via mail to Svenja Flechtner (svenja.flechtner@uni-flensburg.de) until 1 September 2016. Please register for the pre-conference workshops through the EAEPE website. Registration opens on 18 June and closes on 1 October. After registration you will find a link in your user account for the Pre-Conference Registration in the left side navigation! In order to avoid last minute cancellations and to cover part of the costs (catering, conference material and rooms etc. ), there is a YS registration fee of 90€ payable upon web registration, including both pre-conference and main conference. Participants must also be paid-up EAEPE members. There is a fee waiver policy for a limited number of students and early-career researchers with papers accepted for presentation at the main conference. To be eligible for the fee waiver, you need to be a Bachelor’s, Master’s, or PhD student and have an accepted abstract at the main conference. We are looking forward to your participation and lively discussions in Manchester! Please check our website for more detailed information and updates about the conference. For any questions, please contact the pre-conference organizing team – Madeleine Böhm, Claudius Gräbner, Till Kellerhoff, Andrew Morton, and Svenja Flechtner – at preconf2016@eaepe.org. If you have questions about your participation at the main conference, please write to EAEPE Young Scholars officer Svenja Flechtner (svenja.flechtner@uni-flensburg.de). 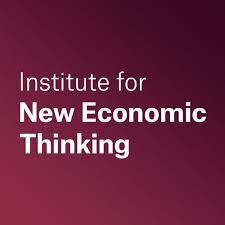 The Pre-Conference enjoys financial support by the Institute for New Economic Thinking (INET) and the Foundation for European Economic Development (FEED).